Thanks for the reviews folks; shame about your misfortune. I was last at The Barge Inn in 1961 when it was a spit and sawdust bar. 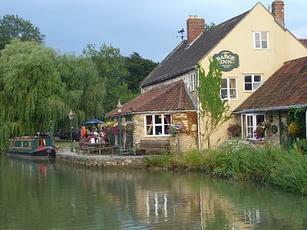 Planned a week's long-boat holiday on the K&A canal in 2015, largely moored alongside this hostelry, but no more. Your comments have saved me a two thousand pound round trip from Germany to visit an old haunt that appears ruined. Shame that commercial interests have ruined yet another ancient hostelry. Booked for lunch but waited 2 and a half hours for it to come because 'we're very busy with people who've come to sit in the garden'. In other words, no point in booking. The table next to us was told they'd ran out oif meat! Beer OK but no better than anywhere else. Would have walked out had it not been an important family occasion. Won't be back, keep your 'idyliic location'!